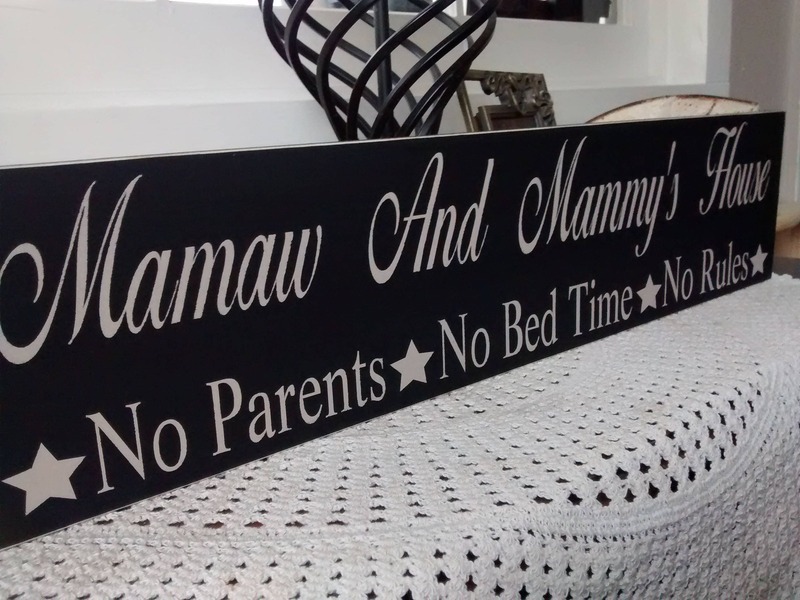 This personalized Grandparents gift features personalized names of your choice. 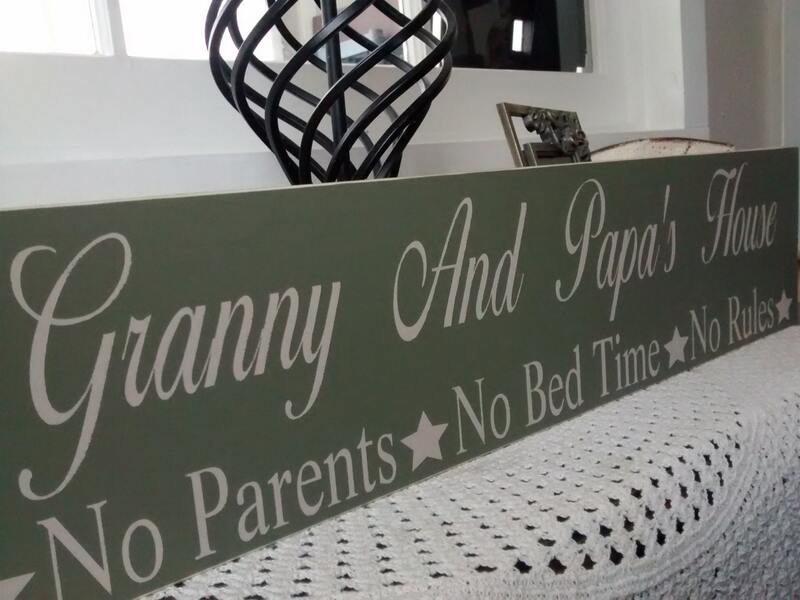 Our Nana and Papa sign is the perfect grandparent gift. From cuddly snuggles, to playtime, to ballgames and sleepovers, this gift reminds us that children are our greatest blessing. Grandparents treasure this time the most as children create memories to carry with them forever. Show Grandpa and Grandma that they are as much a blessing to you as you are to them. This sign is customizable. You have your choice of 5 different background colors. Please choose your background color from the drop down menu above. All lettering is hand painted in the color Country Tan. 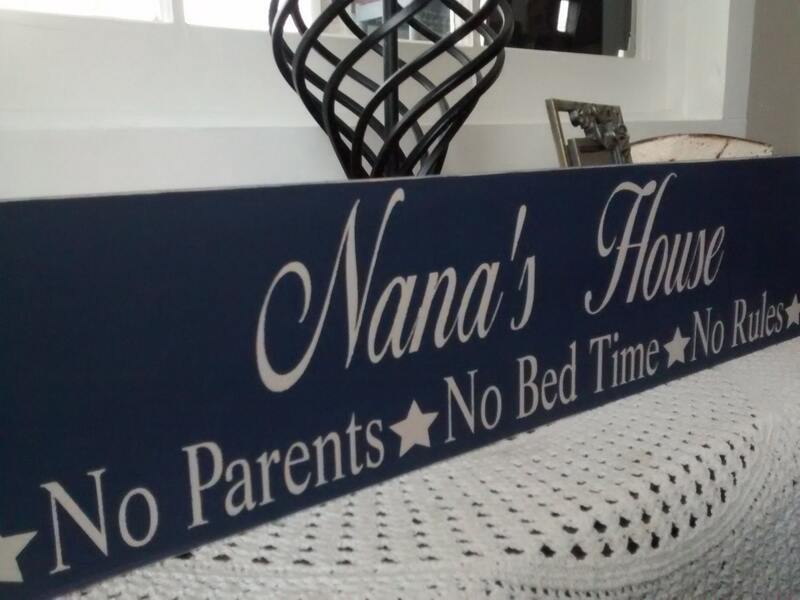 After adding the sign to your cart, type the Grandparents names in the “Note to Seller” box. Type the names EXACTLY as you want them to appear on the sign. 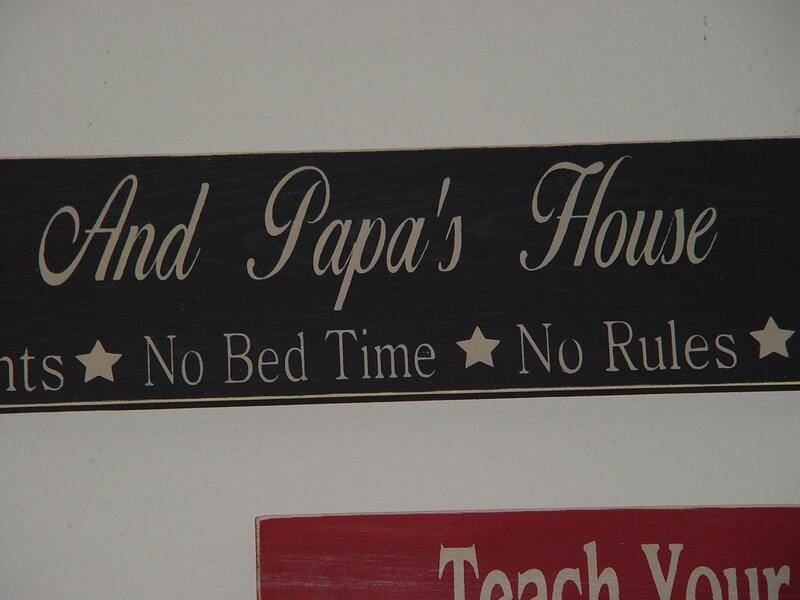 This sign features the quote “No Parents*No Rules*No Bed Time”. It measures 5.5 inches high by 24 inches wide. 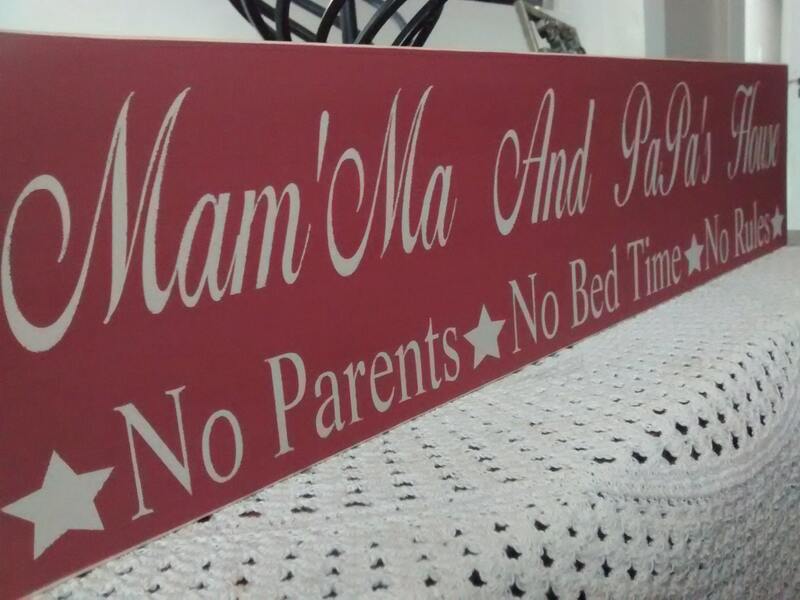 This sign is made from top quality solid wood to ensure it will last for a lifetime. This sign comes with a sawtooth hanger attached and is ready to be displayed. For more home decor and gifts, please visit my shop at OakRidgePrims.etsy.com. Thanks for stopping by and have a blessed day! Due to the fact that nature must always add character, your wood may have slight, natural imperfections. We do our best to use high quality wood with only slight imperfections. I believe in a quality product at a reasonable price. Therefore, I do not paint the backs of the signs. This helps cut down on my costs as well as my production time. When I save, I pass those savings on to you. While my production time is 5 business days, I ship your item as soon as it is finished. If you need it by a specific date, please let me know in the “Notes to Seller” box at checkout. I will do my best to get it to you on time. All items are shipped USPS Priority mail and are typically delivered in 3 business days. Each additional item ships for $3.25 per item. Is your item a gift? I will ship directly to your recipient anywhere in the Continental USA. Please provide their address as the shipping address at checkout. A+ Seller, Thank you very much. Beautifully made sign...very pleased...thanks so much! Working with the owner of this shop was a very wonderful experience. She was able to create the perfect custom sign for me to give as a gift. The order was received in a timely fashion and, as expected, is a beautiful piece of art.